Game design applies design and aesthetics to create a game that creates goals, rules, and challenges to define a sport or game that produces sought after interactions among participants and sometimes, spectators. Game-play includes tools and rules that define the overall context of game. Tools can be a ball, cards, a board and pieces or tokens that represent other things. A game may have similar rules, but an altered environment will create different outcomes. If the rules vary significantly, a new game results. The winner is usually the first to reach a set number of points or tokens; has the most points at the end of the game; has overcome the opponent or reached a certain point in a storyline. Multiple players compete with or against each other to reach the game's goal, involving skill, strategy, luck or a mix of behaviours. A single-player game is against one's own skills, against time, or against chance unless the games are against opponents simulated with artificial intelligence where algorithms used usually incorporate strategic behaviour. A game designer invents the concept, the central mechanisms, and rules. A game development process fleshes out the details of a game's design, oversees its testing, and revises the game in response to player feedback. The game designer can also be the game’s developer, but some publishers licence a game from a designer and use a game development process for their particular market audience. Larger games and most video games use a team with roles split among multiple people. In video gaming and role-playing games, game artists are responsible for all visual art in the game’s development process and are credited for their work. A game concept is an idea for a game that may be pitched to, or solicited by, publishers. Then the game is designed with rules, play sequence and possible player actions defined until a draft version is published as a game prototype ready for testing. 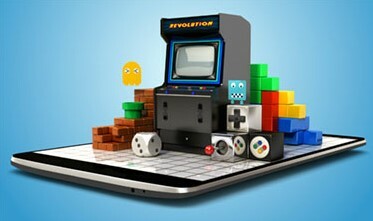 Game testing is a major part of the game development process. Software is tested for defects and other technical fields. Testing also provides feedback on game-play, allowing the developer to revise the design, its components, presentation, and rules before testing it again. 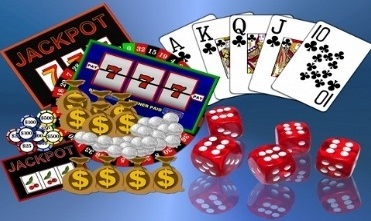 All casino games are designed to favour the house, so the major issues for casino games is that they must provide entertainment for the player and revenue for the gambling house. Today, it is much more common for casino game designers to make successful variations than entirely new casino games, raising issues around the paucity of new ideas. The main issues with video games are that they demand the use of a design team usually divided into smaller game design disciplines. Issues around maintaining internal consistency between the teams are managed with a software "game design document" providing contextual guidance on ambient mood, appropriate tone, and other less tangible aspects of the game world to all teams.